I love my Garmin 220, but the Garmin Vivofit (pedometer) was only ok. Garmin Connect has had many issues the past few months. When Fitbit announced the Surge in the fall I knew it would be on my birthday list. Yes, it’s a very early birthday present. I have worn the Surge for a week and on 6 runs Four of those runs I also used my Garmin 220 to get a good comparison. Here are my pros and cons. Love being part of the Fitbit community and having friends to challenge. 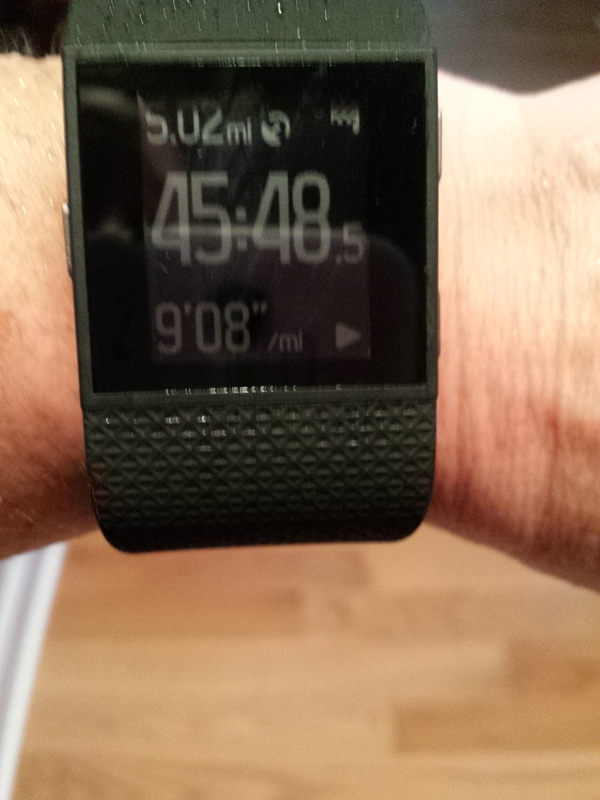 Fitbit is very user-friendly and I was able to quickly figure out all I needed to know. The GPS is very accurate. 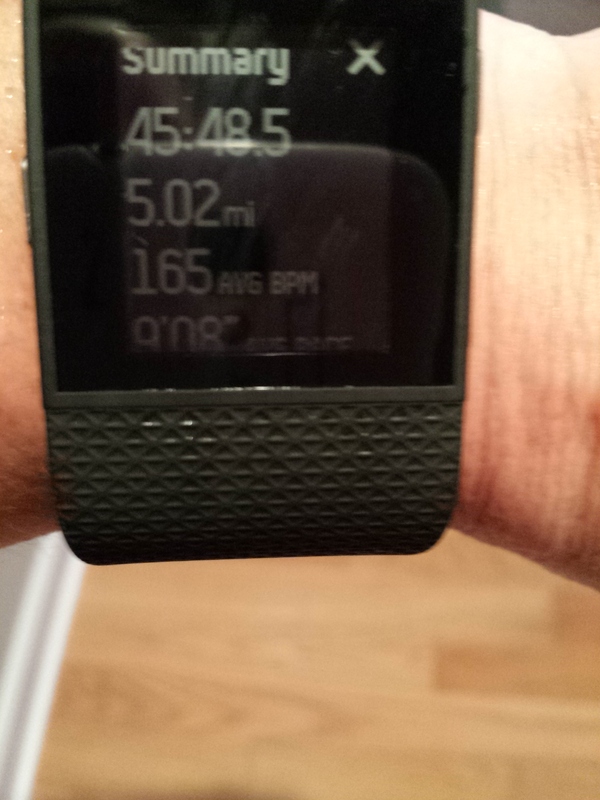 On the runs that I used both devices they were within .05 on miles and pace. I have never used a heart rate monitor, this one is built-in and automatically gives me my BPM all day. I do not have my phone on my body, so it’s nice to get the text message notifications. All of this has to do with the Running application. On the running screen it’s average pace, not instant. You can’t change the fields on the running screen. I would like the miles to be the largest field. I also would like auto lap vibration alerts and auto pause, which I have on the Garmin. There is no menu, so you can not go back and see your run on the watch, only on the Fitbit App, once you close this screen. I’m hoping that Fitbit will change some of these features in an update. Overall I think it is a good watch, but could be made better with a few changes. I will not be giving up my Garmin 220, and will use it for races. This entry was posted in Uncategorized and tagged Fitbit, Garmin 220, Running, Surge. Bookmark the permalink.